Moon in Leo’s diva moods may be too much for sensitive Sun in Pisces, but both of these signs love romantic escape. Leo’s need for bling and Pisces’ ability to make the fantasy come alive could bond them, as long as Pisces doesn’t become overwhelmed. Sun in Pisces has first-hand knowledge of fantasy, because he’s got one foot in another world most of the time. Even when he’s ultra-focused and present with his partner, he senses the potential for what lies beyond the moment. When it comes to pure romance, Sun in Pisces will intuit what his partner wants and then deliver a beautifully heightened version. But this sensitivity means that his lover must be understanding. He picks up on negative vibes before his partner is even aware what she’s feeling, and he’ll either absorb this energy (poisoning himself in the process) or escape the issue entirely by doing a fade-away. Moon in Leo has first-hand knowledge of royalty, because in her heart she believes she’s a queen. She needs respect, adoration and obvious displays of love from her partner. In return, Moon in Leo’s love will be strong, hot and unwavering. But if she feels ignored, her demands (and temper tantrums) will also be strong, hot and unwavering. Her lover will never have to guess what she wants or where he went wrong, because she does not believe in subtleties. Sun in Pisces will turn himself inside-out in an effort to meet his queen’s needs. 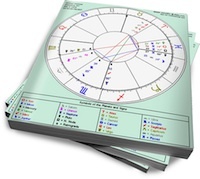 Moon in Leo will feel gratified by Pisces’ attention, and thrilled with his romantic skills. Her fixed assurance will anchor Pisces, but her moods will burn him out if she doesn’t back off occasionally. On the other hand, this will be good practice for Pisces to strengthen his boundaries when he says “No” to some of Leo’s demands.